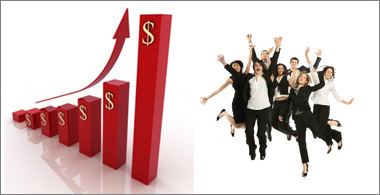 Dramatically Boost Your Business With More Internet Customers! Search engines like Google, MSN, and Yahoo are fast becoming the method of choice for people to find the products and services they want to buy. In fact, studies have shown quite clearly that being at the top of the FIRST page of the search engine results will get you DRAMATICALLY more traffic than being on the second page and beyond. Five Frustrating Small Business Problems --- Which One Do You Want To Overcome? 1) Are you finding it more and more difficult to get new customers? 2) Do you find it difficult to provide your product AND market it at the same time? 3) Are those "Yellow" directories and print ads just not bringing you enough customers? 4) Are you looking for a more cost effective way to get you more qualified customers? 5) Do you feel overwhelmed by all this internet marketing and SEO stuff? If you answered "yes" to any of the above questions then Irvine SEO can help you! According to a recent 2008 survey of small to medium businesses, 43 percent say they plan to start marketing online within the next six months. Do YOU want to be part of that 43 percent that starts marketing online --- or will you let your competitors beat you to it? So how can Irvine SEO help YOUR business to get a larger piece of that search engine traffic?